Developing an attitude of gratitude is one of the simplest ways to increase your life satisfaction. Why do you Need a Gratitude Practice? The benefits of gratitude have been scientifically proven and reported widely in the news. And yet, for most people, practicing daily gratitude is not something they put on their priority list. But what if spending a few minutes with a gratitude journal in the morning could help you sleep better, improve your physical health, decrease negative emotions, increase resiliency, and create better relationships with your family, friends, and within your business? If something so simple could improve your life in such dramatic ways, wouldn't you want to try it? ​The Gratitude Experiment is designed as an experiment - a 30 day test into how you feel when you appreciate things in your life on a daily basis. The journal gives you the background info to get you started, you set your hypothesis, and then you get started. Daily, you have 3 smaller tasks to complete, created for you to focus on what you have in your life and to build the life you want, along with a longer journal prompt to help you really dig deep in these areas. In the end, you get to see how things have changed for you​; this is your experiment. I began gratitude journalling over 2 years ago. I started recording my thoughts of gratitude as the mother to a newborn, struggling with postpartum anxiety, binge-eating, and seriously low self-esteem. My journal was one of the tools I used to pull myself out of that space, to find joy in my days, and to build towards the life I wanted to create. I focused every single day on simple things I had to be grateful for, along with the dreams I knew I could make a reality. My gratitude practice has made me a better wife, mother, business owner, and friend. And I'm so excited to share it with you! 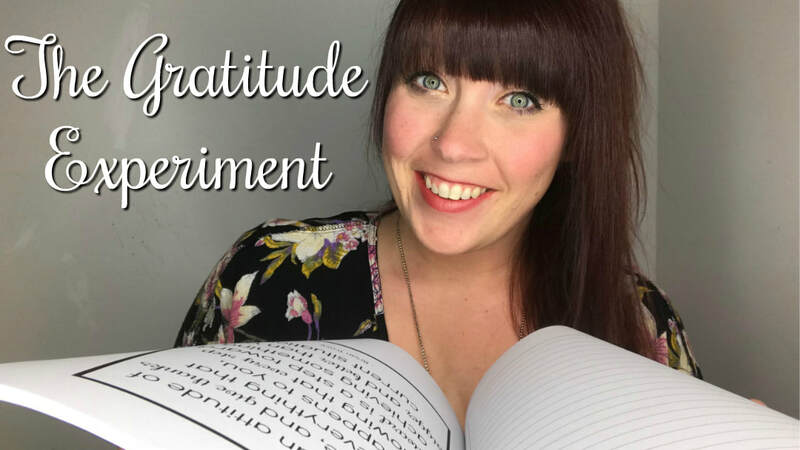 The Gratitude Experiment is Now on Amazon! Grab your copy now and experience for yourself the transformative power of a daily gratitude practice! Tried the Gratitude Experiment? want to leave a Review? To thank everyone for their support in leaving a review on Amazon, please pop over here to get a personal thank-you from me in the mail!